Hi I'm Mette a multi-craftual soul, always eager to make daily life pretty. I blog at monsterscircus.com with all kinds of DIY's and crafts. True believer of handmade things is an endless way to make both you and your day even more beautiful from the inside out. Shop your cabinet and turn old vases and bowls into this feminine and super-functional storage unit for all of your jewelry. Cast a signature glow at your wedding (or special celebration) with these handmade string lights adorned with feathers and glitter. Transform a common storage box into a festive picnic box to share with a friend. It's totally adorable and easy to make, too. Ready for spring, northern hemisphere-rs? 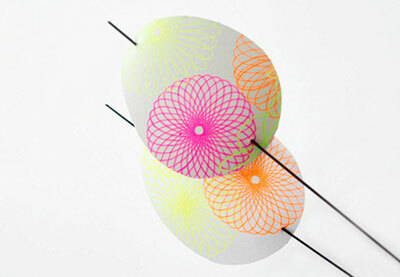 Add a fun tulip-shaped lamp shade to your space and give your home a light and bright new feeling.